Mal, TAYLONDO SAMSWORTHY and ReadOneBookAWeek dapped this. Imma hop on the wave, wasn't drinking for the month of Feb anyways so this is day 11 for me. I'll make sure I'll add the gallon of water also. Mal and TAYLONDO SAMSWORTHY dapped this. Make sure yall getting good rest as well. These pillows work wonders. 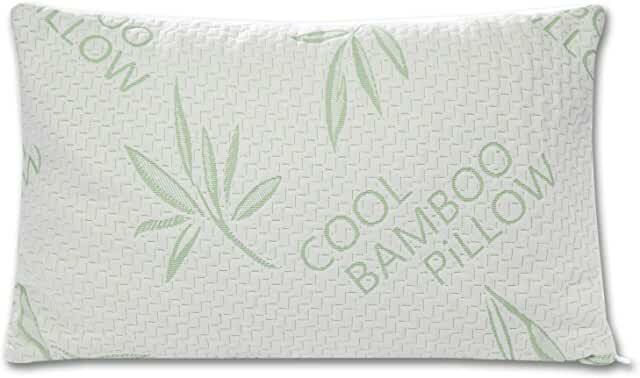 You can order them off amazon "Bamboo Pillows"
I see a nice fingernail there, she bad? Oatmeal and Una Mas dapped this. Coli detectives looking for her IG name in the fingernail reflection. Starski, str8cashhomie87, Niggahs B. Wildin and 6 others dapped this. Niggahs B. Wildin, NinoBrown and Una Mas dapped this. How would you tweak this for someone who is trying to cut out alcohol but gain weight? Wild self and TAYLONDO SAMSWORTHY dapped this. Thanks haven't been perfect but I'd say I'm averaging 7 16.9 ounce bottles. This weekend I kinda slipped. thaKEAF, Bini Knight, PropJoe and 3 others dapped this.